Coasters with championship spirit! 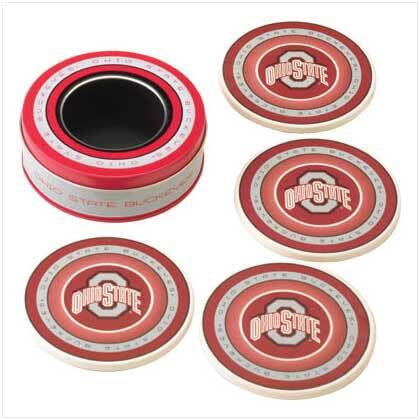 Boasting the Buckeye logo, and the ever-striking silver and red, these coasters and their matching tin lend that "pre-game thrill" to even an ordinary day. Hefty faux-stone coasters are a safe place to rest your favorite beverage in true sportsman style! Ceramic with metal container. Each coaster is 4 3/4" x 1/8" high. Set of 4. 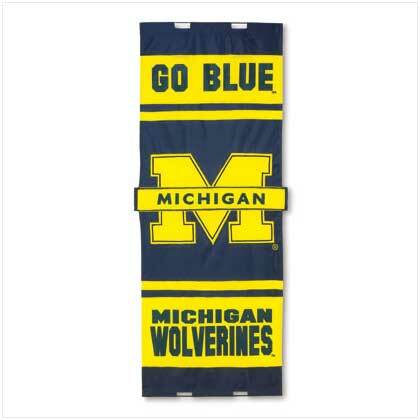 Retail Price: $24.95.